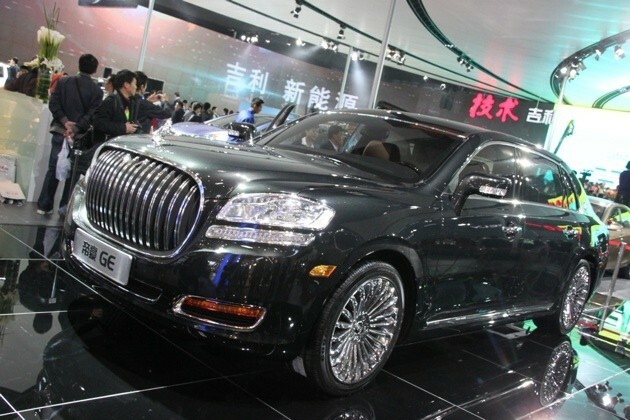 Another entry that Geely has planned for its new Emgrand premium sub-brand is the GE limousine. Like many of Geely's new models, the GE has a very prominent grille but the rest of the design looks otherwise well-proportioned and attractive. With a 214-inch body sitting on a 124-inch wheelbase, the GE is a big car targeted at executives who prefer to be driven rather than get behind the wheel. The Geely Emgrand GE can be equipped with either a rear bench contoured for two passengers or a single large seat flanked by extra storage compartments. Underneath, the GE has the same plug-in hybrid powertrain featured in the GT coupe. That means it gets a 2.4-liter inline-four that producing 160 horsepower and 165 pound-feet of torque. The electric drive consists of a pair of 27.5 kilowatt, 132 pound-foot hub-motors for all-wheel-drive capability. The GE is targeted for 2015 introduction. 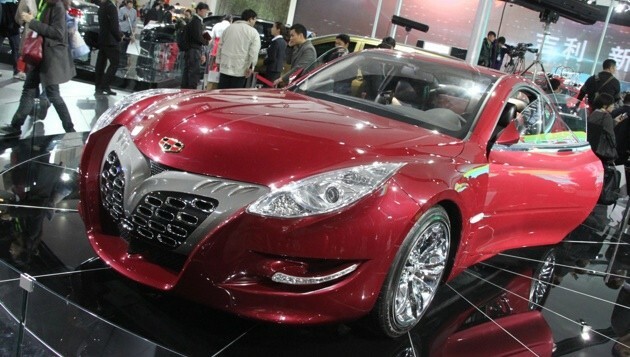 The Geely Emgrand GT is another example of the automaker's apparent seriousness about being considered a top-flight player in the industry. This coupe features classic sports car proportions and aside from the overdone grille, it looks quite attractive. The GT comes from Geely's new top-level Emgrand sub-brand and boasts some impressive specs. It's reportedly a plug-in hybrid with a 2.4-liter inline-four that churns out 160 horsepower and 165 pound-feet on its own. That output is supplemented by a pair of 27.5-kilowatt hub motors that give the GT all-wheel-drive capability. Those motors each add 132 foot-pounds of torque as well. It's not clear, however, which axle is being driven by the combustion engine and which gets the motors. The Emgrand GT is targeted for a 2014 introduction.